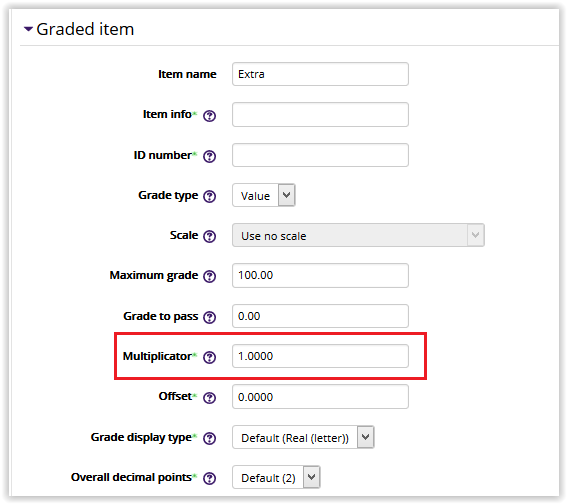 Moodle allows users to curve graded assignments using the Multiplicator tool. The Multiplicator is a factor by which all grades for a graded item will be multiplied, with a maximum value of the maximum grade. For example, if the multiplicator is 2.0 and the maximum grade is 100, then all grades less than 50 are doubled (e.g. 35 => 70, 40 => 80, 45 => 90, etc. ), and all grades 50 and above are changed to 100 (e.g. 55 => 100, 75 => 100, 85 => 100, etc.). 2. 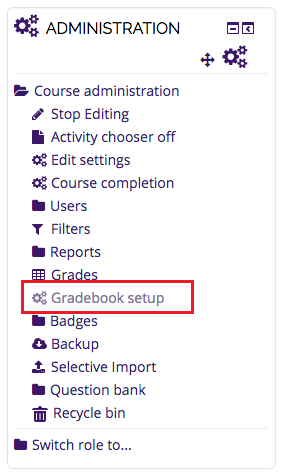 Select Gradebook Setup from the Administration panel. 3. Select Edit from under the Actions column, and Edit settings for the graded item you wish to edit. 4. Under the Graded Item header, click Show More. 5. 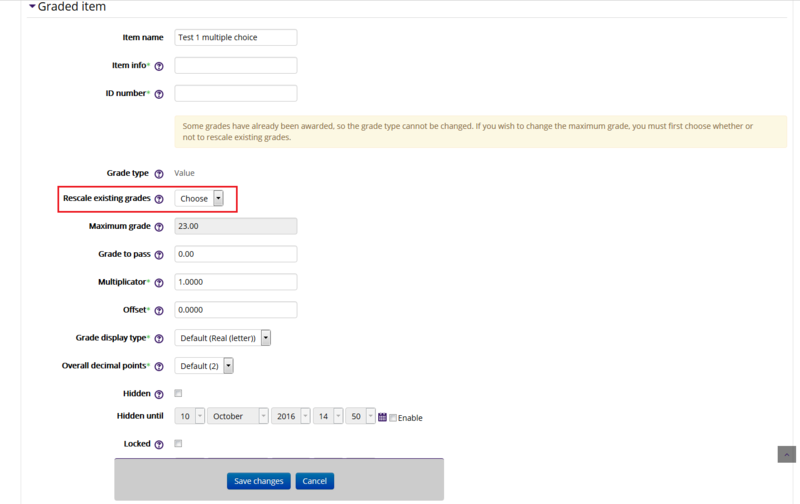 If you have already graded the item, choose "Yes" for ‘Rescale existing grades’. 6. Type a value for the multiplicator. For Multiplicator values greater than 1.0, grades will increase. For Multiplicator values equal to 1.0, grades will remain the same. For Multiplicator values less than 1.0, grades will decrease. 7. When you're finished, click Save Changes.